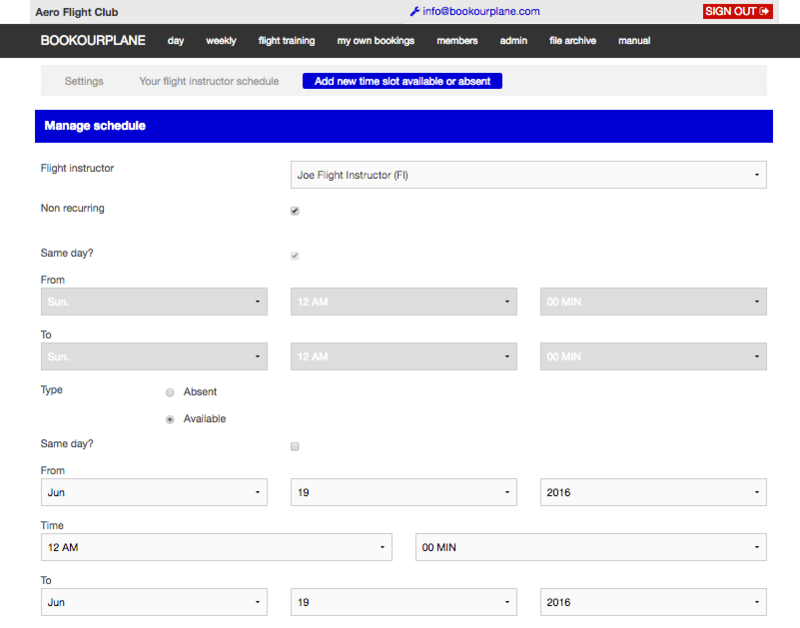 Discover how easy it is to manage your club's aircraft schedules! 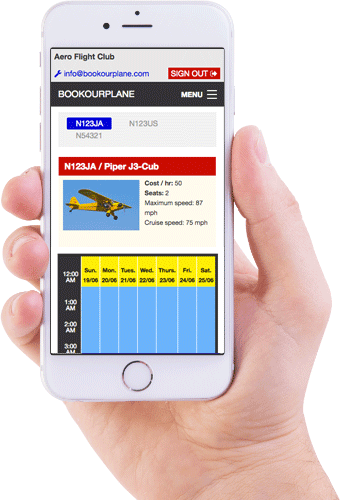 Bookourplane is a FREE web based scheduling application for flying clubs, flight schools and aircraft partnerships. 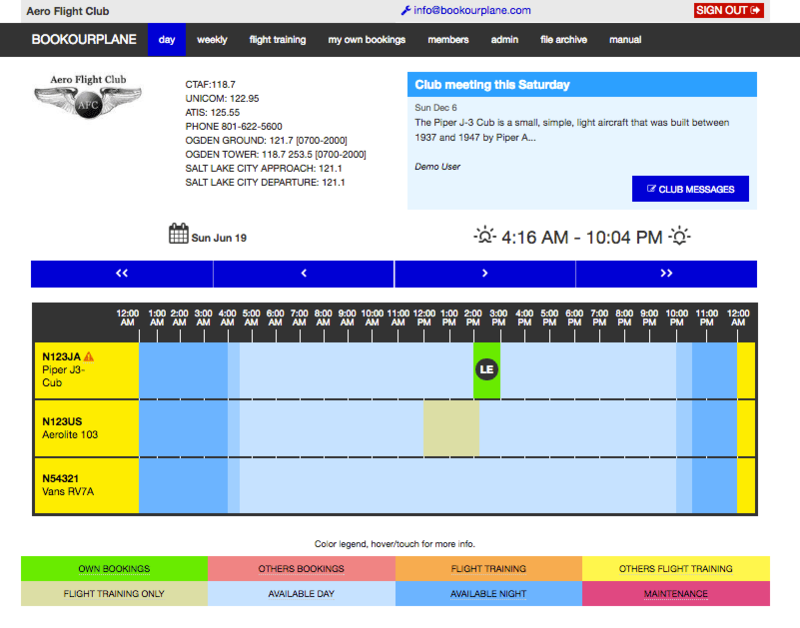 Take our software for a test flight and find out how easy it is to book aircraft and schedule flight training online! 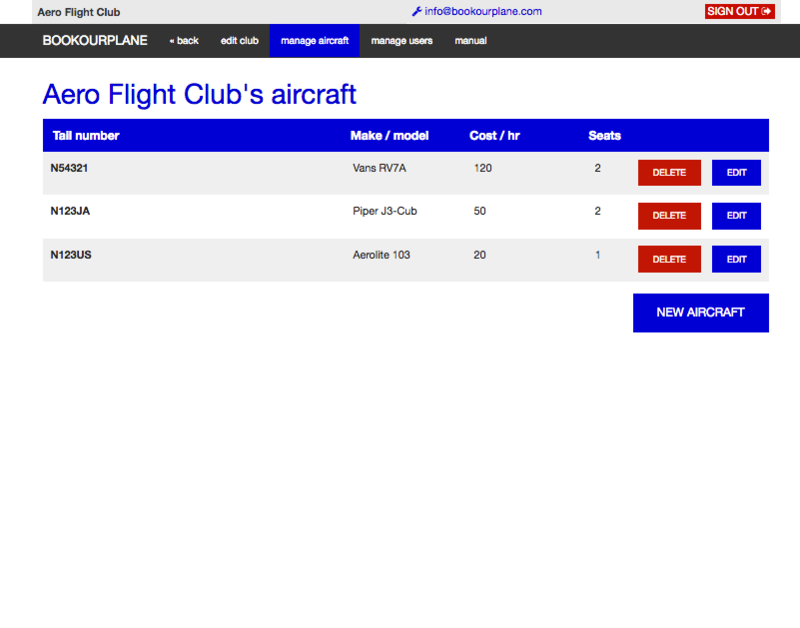 Lists all available aircraft. 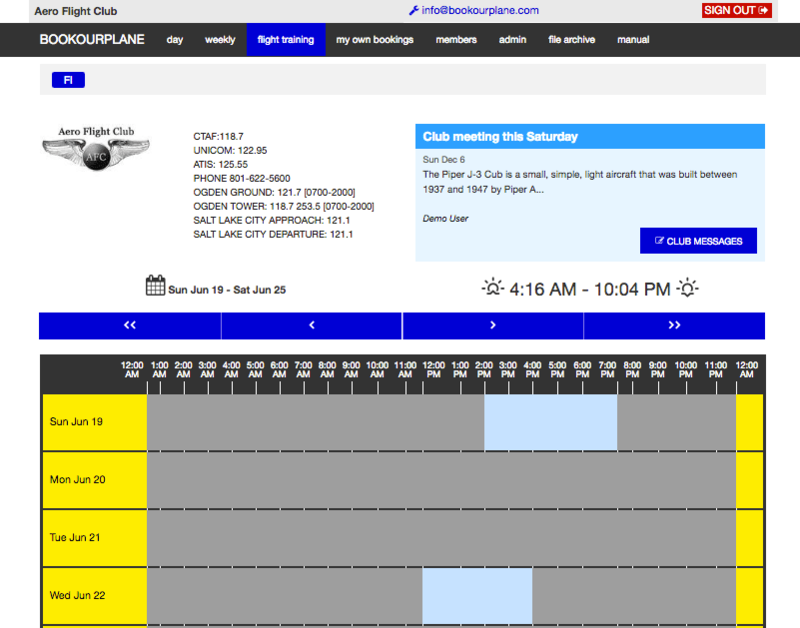 Quickly book the aircraft by clicking on the horizontal bar. The different blue colors indicate day, twilight and night. Displays one aircraft for a full week. Book by clicking in the calendar on the day you wish to fly. The different blue colors indicate day, twilight and night. Need to post a message about a particular aircraft? 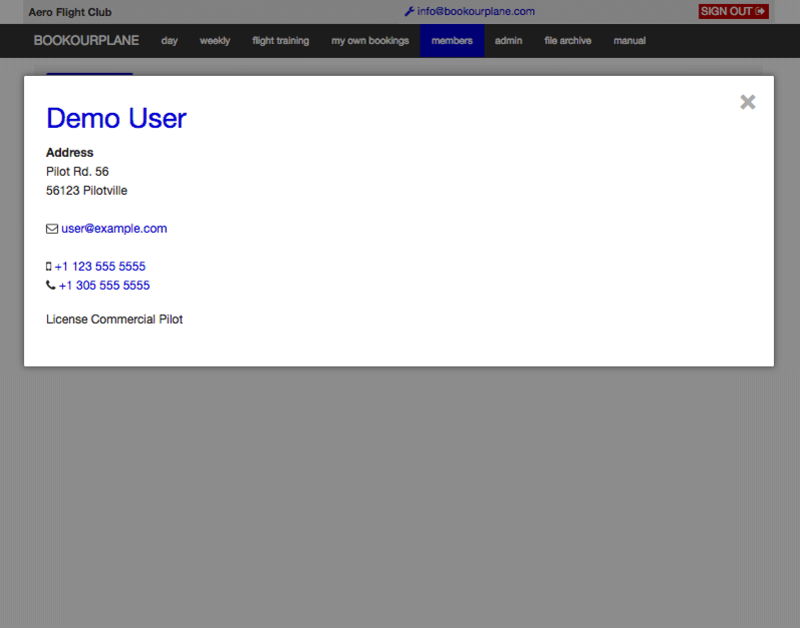 With aircraft messages you can post messages that are emailed to all members that subscribe to them. Choose between 4 different priorities and if grounded is selected the aircraft can not be booked. This is a high priority message marked with red. Need to post a message to all your club members? 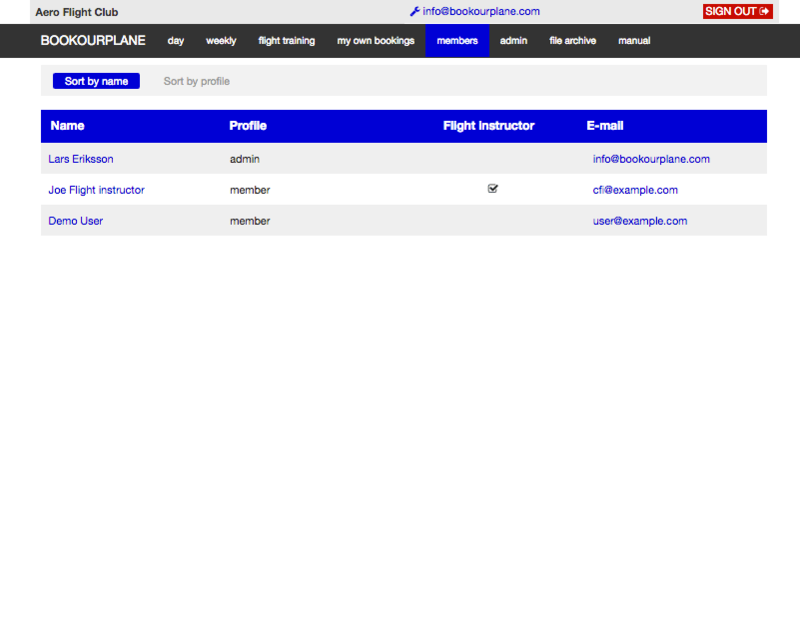 With club messages you can post messages that are emailed to all members that subscribe to them. The message is also displayed when you log in. 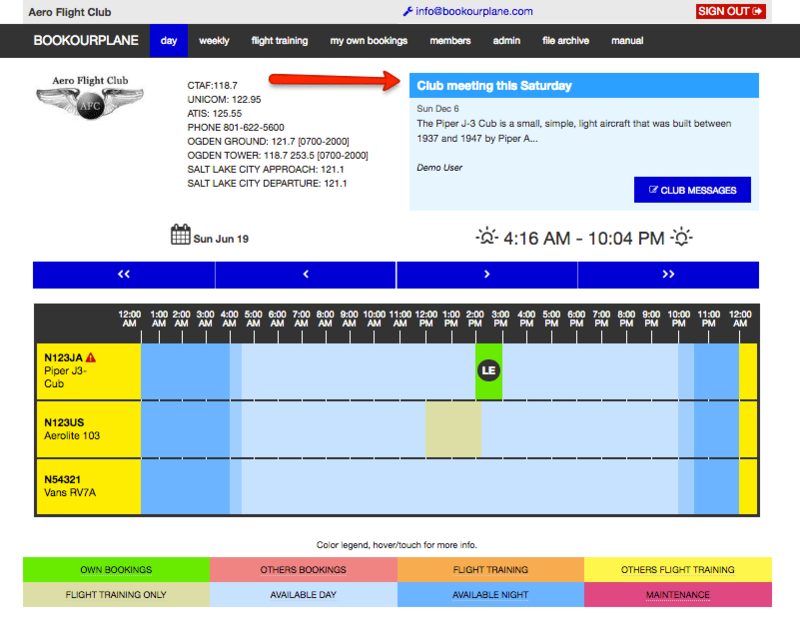 Book the aircraft you wish to fly by clicking in the calendar and then enter all the details here. 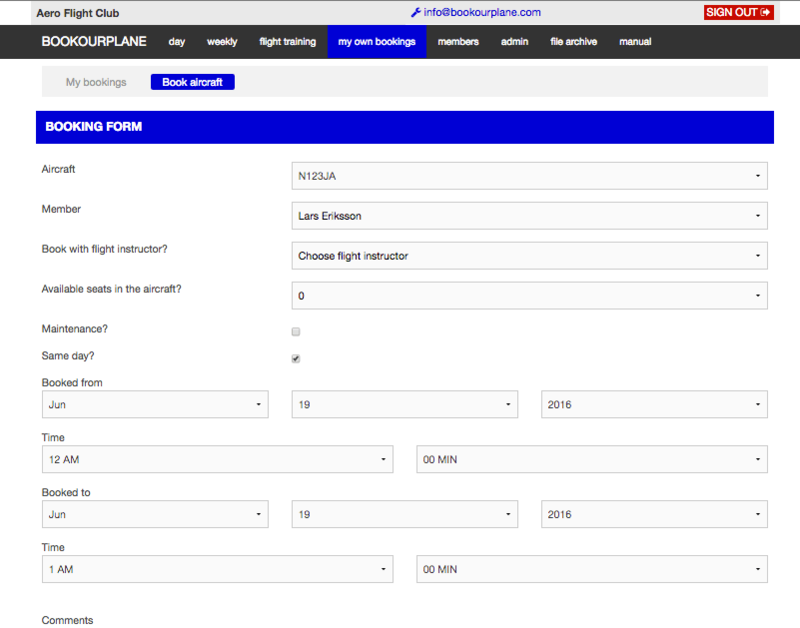 You can even schedule flight training by selecting your flight instructor if they are available. Lists all your bookings. All bookings with a date in the future can be changed or canceled. See when your flight instructor is available and book your flight training. 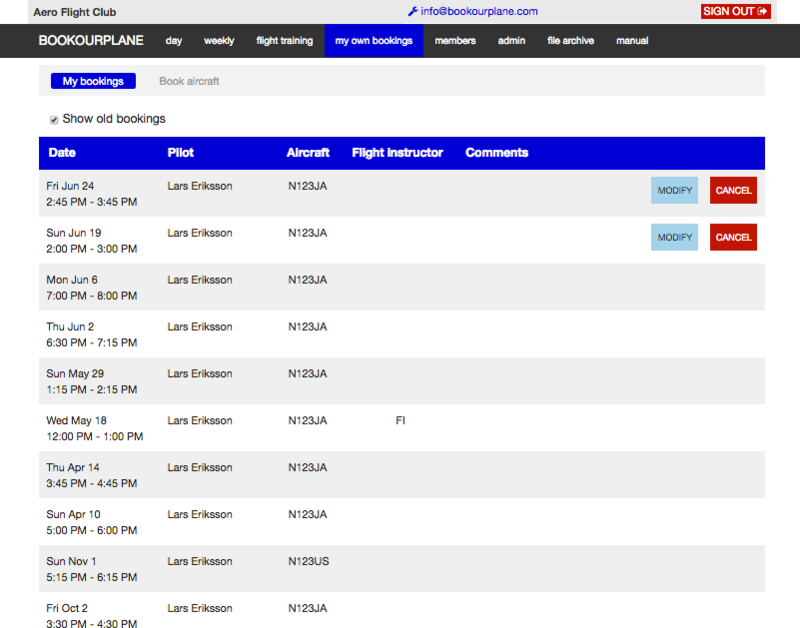 Easily manage your flight instructor schedule. 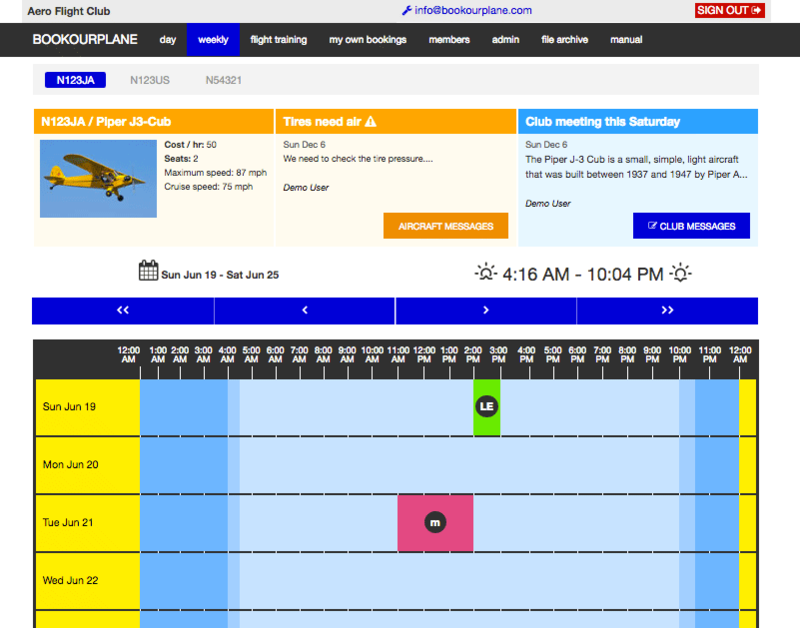 Add or remove new time slots you are available for flight training. 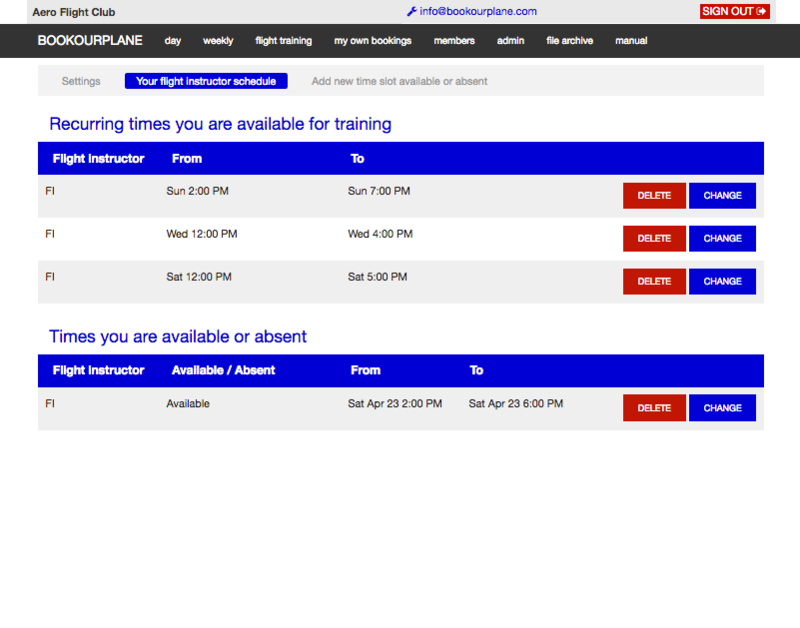 Add or remove new time slots you are available / absent for flight training. 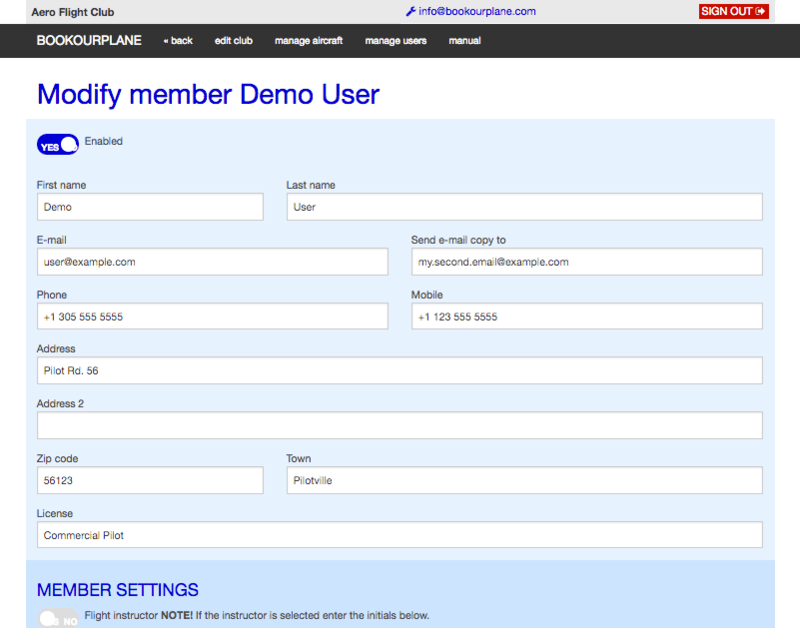 Easily find your members information in one place. Quickly find any users email, address and phone numbers. 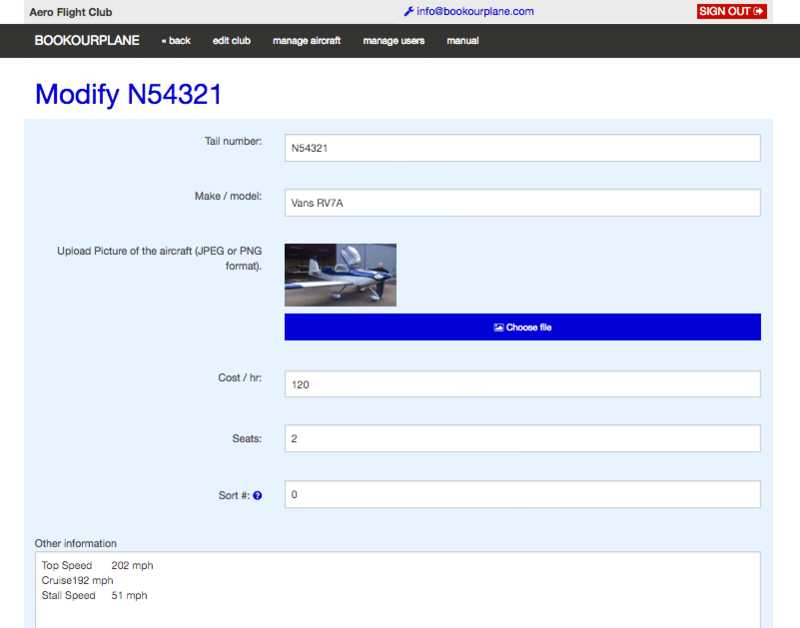 Keep your aircraft manuals and documentation in one place. Set you all your details here and select what you want notifications for. 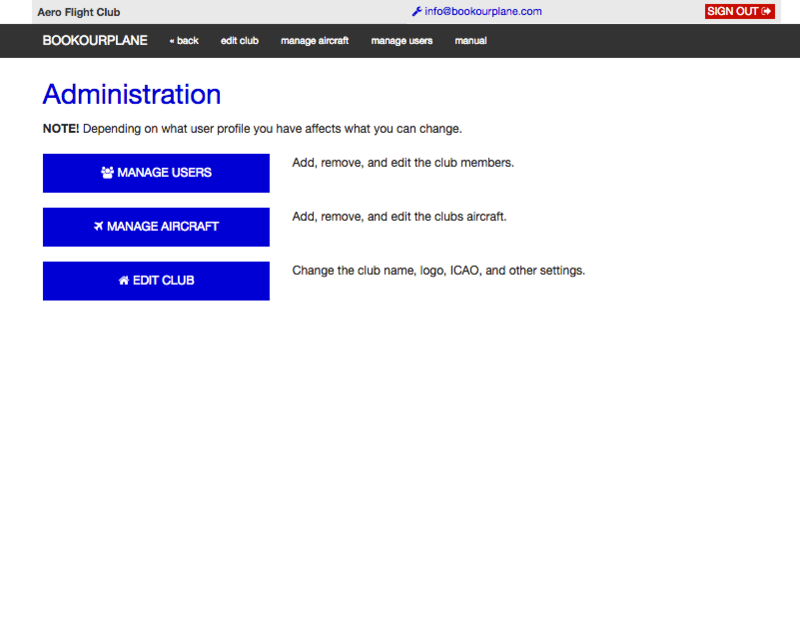 This is where administrators of your club can change all aspects of your aircraft fleet, members and club page. 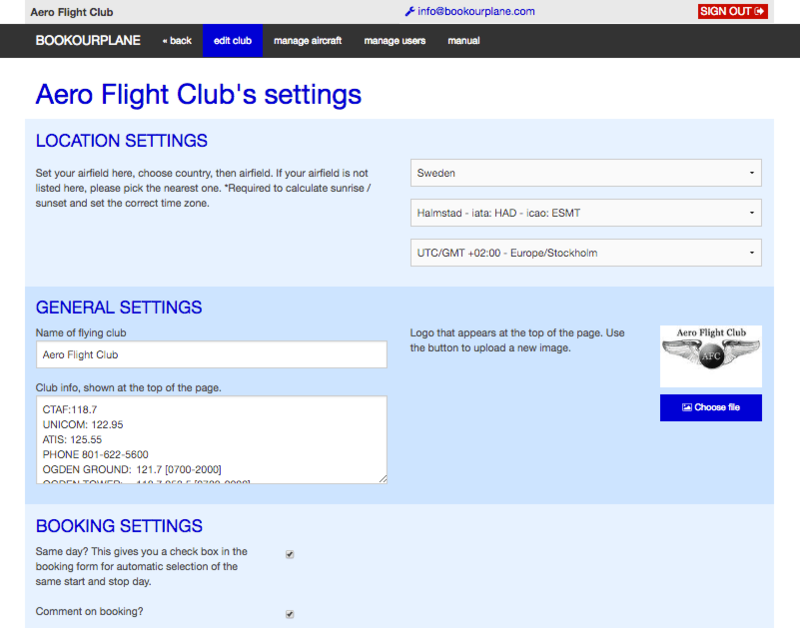 On this page you as an administrator can mange all of your flight clubs settings. This is where the administrators and aircraft managers access all aircraft. Enter all the details about your aircraft here. Here you can manage all your users. Give permissions and approve new users. Here you can manage all aspects of a users. 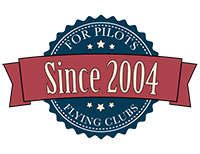 For flying clubs around the world! Bookourplane is used by flying clubs around the world and this map shows the locations of current flying clubs using our scheduling system. 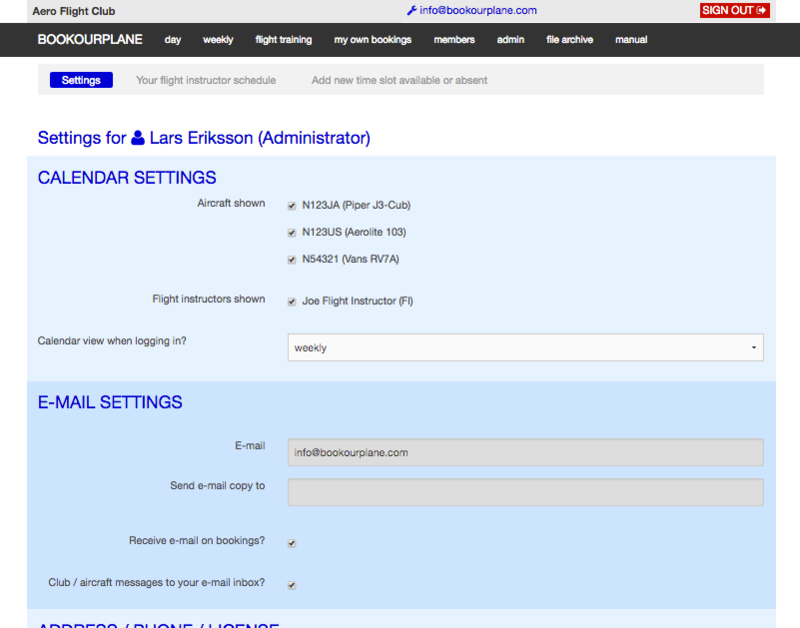 I was very happy with how easy it was to integrate bookourplane.com into our website and when I presented it to the club, everyone was delighted – bookourplane.com has all the features a flying club needs to manage their aircraft schedule, it’s easy to use and best of all, it’s free! Thank you Lars for all of your hard work! 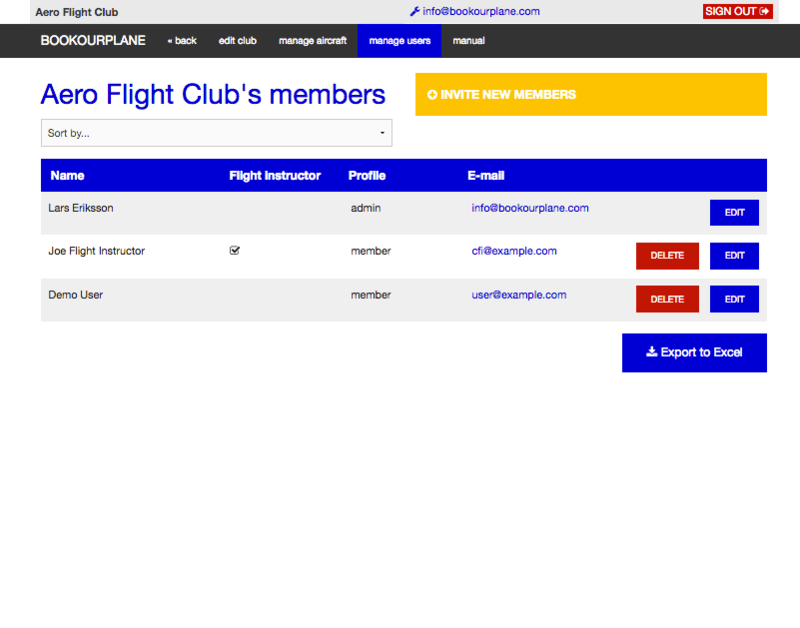 I was starting a small flight school and was searching for a low cost software that would support the functions needed to support flight scheduling. 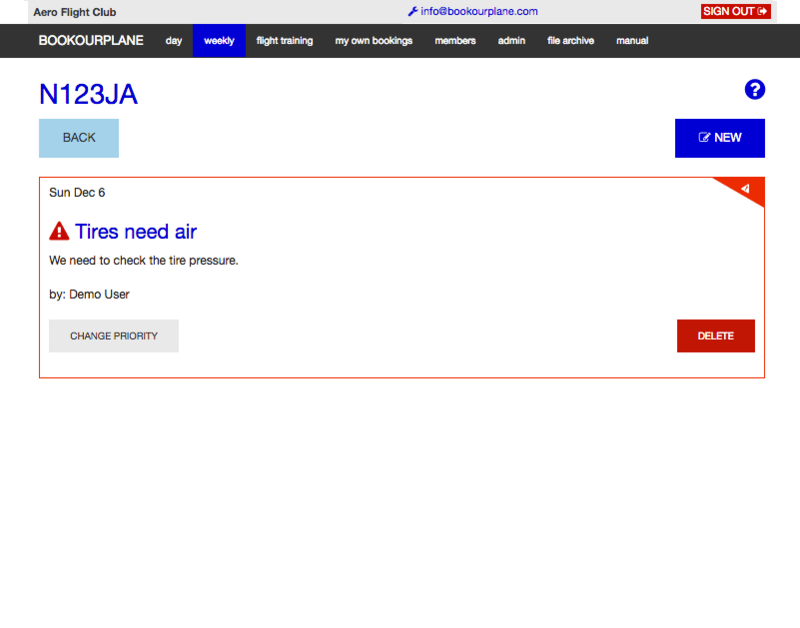 I found Bookourplane.com to have a lot of the functionality needed and the fact that it is free was great given what it offers. Most other commercial software is not affordable for small clubs or schools that are mainly operating as a hobby. In addition, the support and response time that Lars provides is incredibly fast!